TV producers are looking for broken-up couples for a new show which will see them reunited with their ex for one last date. Eating with My Ex, the Bafta-nominated BBC Three show, is planning a new 10 episode series which will see former partners meet over dinner to pick over the bones of their failed relationships. 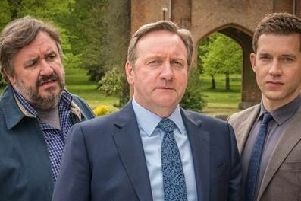 The show, which will be a co-production between FremantleMedia UK labels, Shotglass and Thames, first aired in a mini format, and proved a huge success - racking up 20 million views. The new series will see the episodes extend to 30 minutes and will include a celebrity special. Alongside the often awkward and revealing questions being served up, producers say exciting new ingredients have been added to ensure that Eating with My Ex delivers plenty more heart-warming, funny and authentic encounters. Damian Kavanagh, controller BBC Three, said: “I’m delighted with the transformation of Eating with My Ex into a long-form commission and the incredible journey it has taken speaks to the flexibility of form that BBC Three affords. Kalpna Patel-Knight, entertainment commissioner at the BBC, said: “I’m really excited for the long-form version of Eating with My Ex. It worked as bite sized chunks but you really wanted to hear a bit more.